Jeep knows how to keep models the same, while continuing to improve them. The Jeep Cherokee has come a long way from where it first started, but the essence of this SUV remains very much the same. In the 2019 model year, the Cherokee receives a few changes, but none of them mess with the Cherokee that you've come to know and love. Instead, these changes have added both power and handling, in order to give you the perfect off-roading experience, and a comfortable ride on the road. If you want to learn about the new engine, and the upgraded transmission, then keep reading down below! What new engine comes with the 2019 Cherokee? This model year, Jeep has brought in a new engine to the Cherokee lineup. This engine is a 2.0-liter turbocharged 4-cylinder, which can produce around 270 horsepower and 295 pound-feet of torque. Included with this engine is a nine-speed automatic transmission. There are many systems that help propel this engine along, including an electric actuated waste gate, direct injection, a cooled exhaust gas re-circulation system, double overhead camshafts, a twin-scroll turbocharged, and an independent liquid cooling intake of air. All of these systems work together to create an engine that gives you low emissions, amazing fuel economy, a quick launch performance, enhanced drivability, and all of the capabilities you could want in a Jeep. It also helps that there is a variable displacement two-stage oil pump, which offers high oil pressure whenever you're at a high speed, but also has the ability to switch to a lower pressure in order for better fuel economy. This kind of flexible engine configuration gives you everything you could possibly need. What other engines can I get with this Cherokee? There are two other available engines, besides the newly introduced turbocharged 2.0-liter. The first of these is the well-known 3.2-liter Pentastar V6, which can give you 271 horsepower and 239 pound-feet of torque. This engine also works with the nine-speed automatic transmission. The other option is the 2.4-liter PZEV Tigershark inline-4, which is the standard engine for the 2019 Cherokee. This engine can output 170 pound-feet of torque and 180 horsepower. The nine-speed automatic transmission works perfectly with this engine, as well. These two engines give you more options, depending on what you intend on using your Cherokee for. How is the Cherokee's on-road performance? Thanks to a rear independent multi-link suspension, and a front independent suspension, the 2019 Cherokee is comfortable, no matter the obstacles. Specifically, the front suspension allows for 6.7-inches of travel, and the rear suspension bumps that up a notch with 7.8-inches of travels. This means that no matter the bumps you hit, the Cherokee is prepared to properly articulate in order to create a smoother riding experience. The suspension system also helps to improve handling, making it easier to maneuver. If the engine options, and the handling capabilities, are speaking to you, then you need to check out our 2019 Jeep Cherokee inventory! 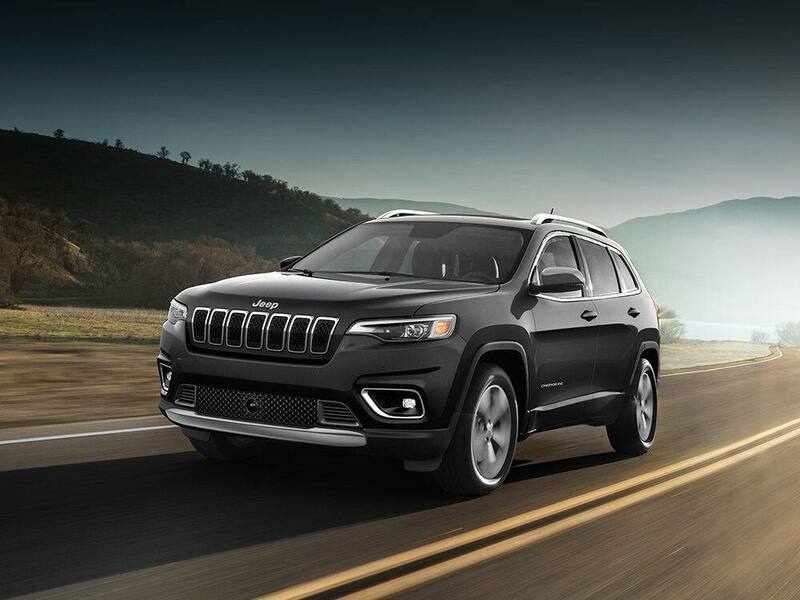 The features of this SUV are just the tip of what the Cherokee can offer, and none of this includes the off-roading capabilities, or the trim level options that are available. For more information, feel free to give us a call today!